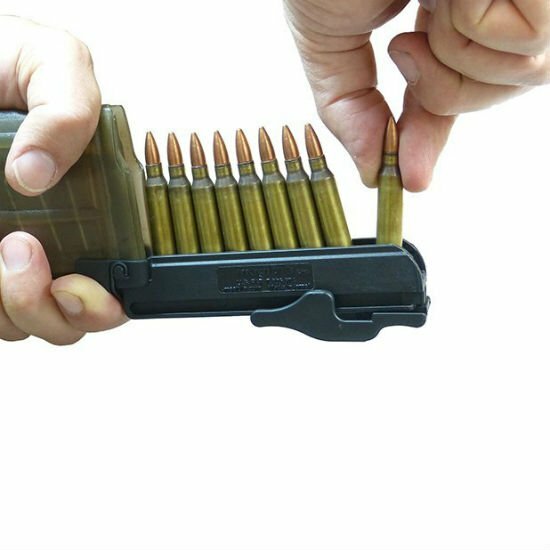 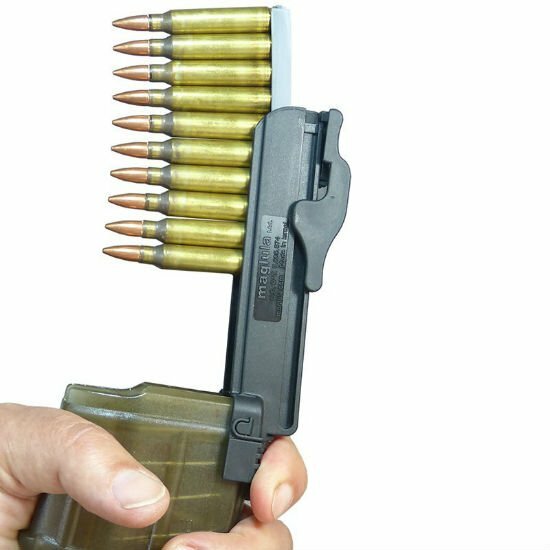 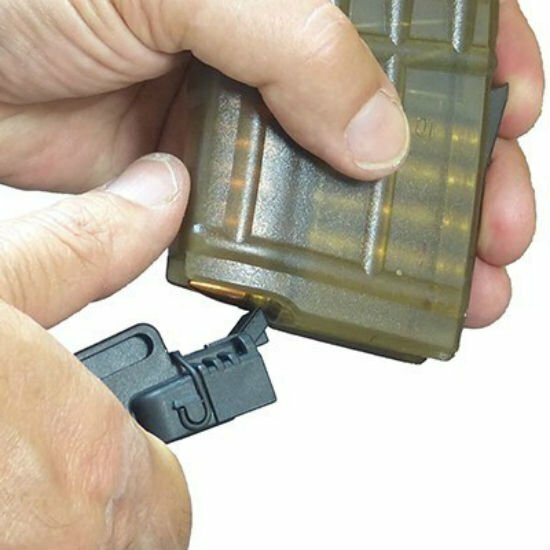 The fastest and easiest way to load your AUG Mags. 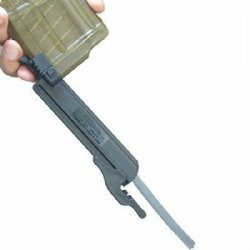 Steyr Aug 5.56/.223 10-round StripLULA loader and unloader. 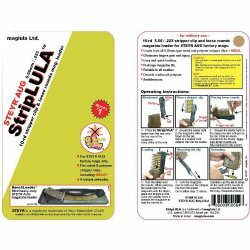 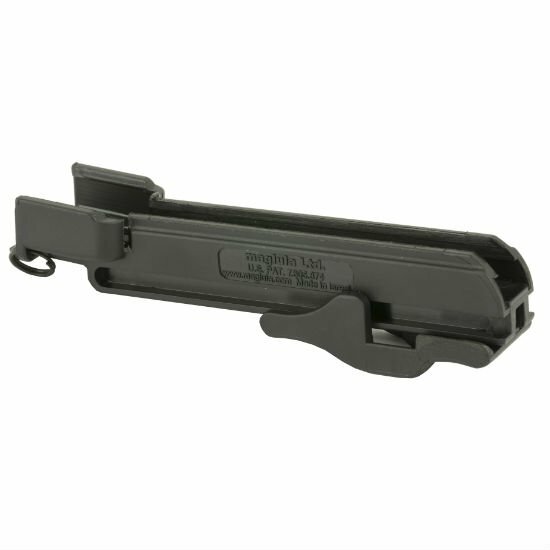 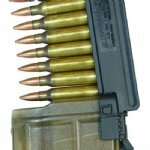 Works for loose ammo or all metal and plastic stripper clips including GECO grey strips. 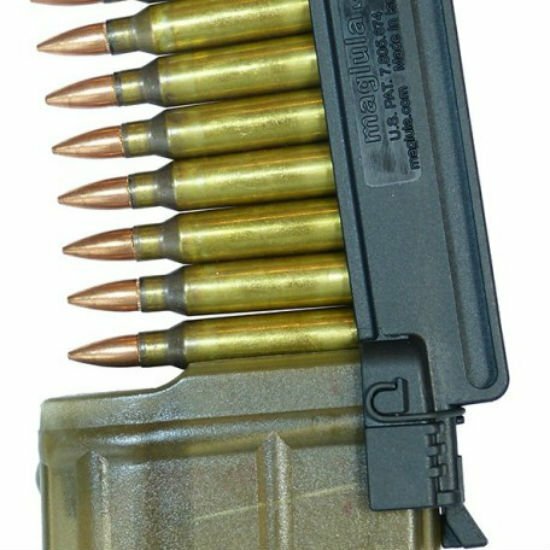 Loads 10, 20, 30 & 42rd round 5.56 / .223 Steyr AUG factory magazines. Does not fit or load MAGPUL PMAG AUS or any other magazine. 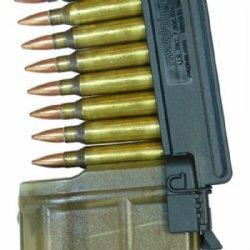 Fits all 5.56mm type stripper clips.